When planning a road trip, I always recommend that you pack your patience and flexibility hat. Road trips are some of the best times I’ve had traveling, but also there have been some pretty large hiccups, hurdles, and obstacles along the way. That’s why I asked my buddy and peer travel writer, Jason Barton, who is currently road tripping the Eastern United States, to share his tips on how to avoid road trip disasters. Enjoy Jason’s road trip wisdom! If you would like to tackle the roads and make sure that you are able to see more of the world without any hiccups, you will have to pay attention to the details and the planning stage. It only takes a blown tire to ruin your day and your entire vacation. If you take precautions, you will be able to make the most out of the experience and enjoy seeing new towns and cities, connecting with nature, and making memories for life. Before you go on a long journey, it is advisable that you get your car checked out. There are plenty of things that can go wrong. Start with checking the fluid levels and getting your oil changed, if it is time. You will also have to visually inspect your tires, check the air pressure to avoid uneven wear, blowouts, and steering issues. Don’t forget to check the condition of your spare tire, either, just in case you will need it. Once you have your travel itinerary for your big road trip, you will have to make sure that you are planning your stops carefully, If getting to your hotel before dark is a stretch, it might be a better idea to book somewhere closer. However, you will also have to avoid disappointment and nasty surprises, by checking review sites. If you are searching for a hotel in Colorado Springs, Colorado, find out more about the reputation of the chain and the individual hotel. 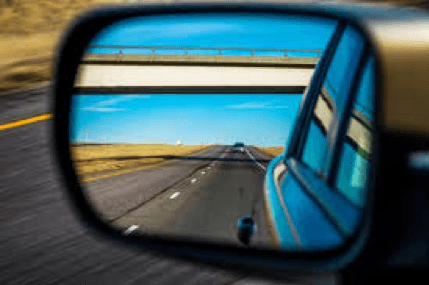 No matter how careful you are, things can go wrong, If you are going on a cross-state road trip, you will have to make sure that your car insurance is valid at your destination and the states you are traveling through. You will also have to check your health insurance, as – if you fall ill – your road trip can become more expensive than you planned it to be. When you are on the road, you will need to make sure that you can stay in touch with your family and call emergency services, no matter how remote your location is. You might want to research whether or not your cell phone will work and what the coverage of your service provider is. Get a charger and consider having a satellite navigation system and a satellite phone with you. Things sometimes go wrong. Whether it is the weather making your road trip more challenging or you need to stop at a service station, you will need to have a Plan B. If you are not able to get through a busy narrow road one day, alter your road trip schedule and change the route so you can still make the most out of your time away. Planning a road trip is never straightforward, Chances are that you will be visiting areas and regions you are not familiar with. This is why you need to plan the details and be prepared for emergencies.